Innovate Finance is the brand new industry body for the FinTech community in the UK. It is member-driven and aims to accelerate the UK’s position in global financial services by directly supporting the next era of technology-led financial services innovators. It is directly supported itself by the City of London and the Canary Wharf Group, and more than 50 companies are founding members, including Barclays, Meniga, and CurrencyCloud. I ran into the folks from Innovate Finance in Boston during SIBOS. 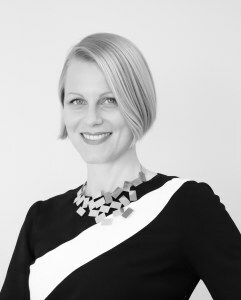 Claire Cockerton is the CEO and Founding Director of Innovate Finance. She is also the non-executive Chairman and Founder of Pivotal Innovations, and Deputy Head of Level39. She kindly agreed to answer quite a few questions. Q. Claire, what is the mission of Innovate Finance? A. Innovate Finance aims to be the independent voice of a new movement that believes in the immense, transformative power of fintech technology to radically improve every aspect of banking, finance and commerce. We emerged from the grounds of the world-leading financial services industry in the UK with the intention to help foster innovation that benefits consumers and businesses. Our movement represents many voices. We are entrepreneurs, we are technologists, we are innovators from companies big and small, and we believe everyone deserves greater access, greater choice, greater efficiency and greater security when it comes to money. Q. When did you officially launch? A. We officially launched in August 2014 at Level 39 Canary Wharf, where our office is based. Level 39 is the largest fintech accelerator space in Europe and was co-founded by my business partner Eric van der Kleij and myself. A. The reason for establishing Innovate Finance was to give something back to the fintech community. We are a trade body that wants to support and lobby for the conditions that make it easier for fintech innovation to grow and prosper in the UK. We are here to represent their concerns about issues such as legislation, consumer reach and investment but also to bring the fintech innovators together with the educators, technology firms and existing financial services companies to help support and enable them to grow. What we earn from our membership fees goes back into helping the community – such as hosting roundtables, networking events and foreign missions abroad. Q. How are you going to measure success? A. We will measure our success by the size of our membership base and the outcome of our initiatives. If our members feel as though their voices are heard and we are supporting the right changes to foster innovations and promote diversity of products and services within the financial services sector then we know we’ve done our job. Q. What is the relationship between Innovate Finance and Level39? Q. And between those entities and Pivotal Innovations? A. Pivotal Innovations is a consultancy firm based at Level 39, which was also set up by Eric Van der Kleij and myself. Pivotal Innovations designs and delivers customised innovation programmes to help businesses, large and small, accelerate growth. Q. What steps are you taking to advance your mission at Innovate Finance? A. We have established strong links with the fintech sector and existing financial services firms, as well as global technology companies, educators and policy makers. We are also seeking out strategic partnership with businesses and media to help raise our profile and influence. Q. What resources do you bring to FinTech startups? A. Our resources include our connections and a dedicated Innovate Finance team that helps to create and manage events, networking opportunities, roundtables and media relations. Q. Are there steps you can take to help increase the availability of A and B round financing? A. In order to increase financing for startups we must make the UK the most attractive place to invest in the fintech sector and to bring the fintech companies that need money together with those that can help them. Our membership allows this kind of networking opportunity to happen in an organic way. Q. What about making it easier for FinTech innovators to access the public markets? A. Again, we can help achieve this by bringing the innovators in front of the government policy makers through roundtables and conferences so that everyone is aware of the changes that need to take place in order to facilitate access to public markets. Q. Will you be advocating for innovate FinTech startups among UK consumers? A. We don’t play a direct consumer advocacy role but through the media we promote the availability of alternative finance and the role that fintech plays in making that happen. This helps give people the knowledge they need to learn more about what our members do and whether their products and services are right for them. We also try to help government understand what needs to be done to help fintech companies deliver better services to consumers. Q. London has an embarrassment of FinTech accelerators, incubators and challenges. Are you working with any or all of them and if so, how? A. Innovate Finance supports any initiative that aims to accelerate the growth of fintech companies. Some of the founders of these types of initiatives are already members of ours. For example, Barclays bank- a founding member- has its own accelerator programme powered by Techstars. One day perhaps some of their successful fintech start-ups will join us too. Q. Some UK FinTech startups report problems securing basic banking services. Is this something Innovate Finance can help address? A. Fintech entrepreneurs have admitted that banks are impacting their growth by refusing them access to basic services such as bank accounts and loans. In fact, the fintech industry raised this very issue recently at a roundtable we hosted at Number 10 Downing Street last month, calling for action to force the banks to do more for them. Q. Your member companies run the gamut from brand new startups with little to no revenue to global banking giants founded hundreds of years ago. How do you set fees and handle governance in a way that is fair to all? A. We have a tier payment system – so members pay what they can afford. However, being a start up and paying a smaller fee doesn’t mean their value proposition is diluted. On the contrary, we enforce a ‘one-member one vote’ policy. Everyone’s voice is heard. Q. You’ve spoken many times about London as an ideal location. To what extent is geography destiny in FinTech innovation? A. Geography is vital for investment – London is between the US and Asia and their influential financial services centers. But legislation is also vital to attract innovators. If government doesn’t support an environment that’s conducive for business then companies aren’t going to come and invest here. Q. How do you plan to help UK startups realize their global ambitions? A. We work closely with UKTI to help startups go abroad and meet key influencers and investors in regions of interest. For example, we are planning a mission to Singapore and Malaysia later this month with some of our fintech members. They will have the chance to talk about their innovations in front of the media in the region as well as speak to investors and regulators. A similar trip is also taking place in February in New York City. Q. A lot of U.S. entrepreneurs and investors will be surprised by government support for financial innovation. The UK government and the City of London have both been very supportive of your FinTech ecosystem. What form does this support take and what is the impact? A. Innovate Finance is backed by the City of London Corporation as the lead sponsor, and the Canary Wharf group as founding sponsor. Innovate Finance also has strong support from the UK government – Chancellor George Osborne helped to launch the initiative in August. However, we act independently to these entities. In terms of the government involvement, their main role is to listen to what the members have to say and to assess whether they have the capability to create the conditions to make it easier for fintech to grow in the UK. Innovate Finance is not a government backed organisation. We are an independent body. Q. Are there any assurances of government support continuing under the next mayor or prime minister? A. We are confident that we will have the continuing support of any UK government – our organisation is good for UK business as well as consumers who demand and deserve better choices of services from the financial services sector. Q. Does the UK have the equivalent of a startup visa? A. Yes. The UK government introduced a new type of visa in 2011, for “prospective entrepreneurs”. These candidates can enter the UK to secure funding and start setting up their business before they begin the traditional visa process. The initiative has been introduced to encourage start-ups from outside the EU to establish themselves in Britain with a much lower budget, with the view that the country would benefit from their future growth. Q. Are you encouraging U.S., European and Asian FinTech startups to establish a presence in the UK? A. We encourage any fintech start up to set up in the UK because we believe that these entrepreneurs add value and prosperity to the British economy and help us achieve our mission of creating a better financial services sector- one that delivers better services and more choices to consumer and businesses. Q. Is the FCA supportive of innovations in finance, in particular P2P lending? Many will remember Prosper and Lending Club losing many months and much money coming to terms with the SEC in the U.S. ZOPA ultimately left the States due to the regulatory environment. A. The UK’s regulatory environment does enable P2P lenders to grow and they’ve become a very popular form of alternative finance in the UK. Many of them are also members- including Ratesetter – Britain’s largest peer-to-peer lender. Q. What is the Seed Enterprise Investment Scheme and how does it work? A. The Seed Enterprise Investment Scheme (SEIS) is a government tax relief scheme that aims to boost funding for startups in Britain and to address the lack of potential investment and funding opportunities that have often resulted a lot of companies collapsing in its first two year. The investment scheme enables promising new enterprises to find investment during the initial stages. Through the scheme the UK government offers attractive tax incentives to anyone willing to take a d risk on one of the country’s start ups, the scheme has been successful in helping a quite a few start ups grow their business. The government is helping businesses at seed-stage with investors offered 50% income tax relief through the scheme and there is no capital gains tax to pay on profits and no inheritance tax. Q. What is the ‘Startup Manifesto’? A. The Startup Manifesto was published in September by COADEC, a non-profit coalition that campaigns for policies to support digital startups in the UK. The manifesto offers valuable ideas about how the current government, and the government we elect in 2015, can continue to support digital startups. Q. I’ve heard Innovate Finance is planning a Global Summit. What is it, when is it, and who should attend? Q. Is Innovate Finance potentially a model for other cities, regions, or industries? A. Right now we are focused on trying to be the voice of the UK’s fintech sector but we are also trying to attract the global capital and investment we need to secure the country’s position as a world leader in banking technology innovation and alternative finance. Innovate Finance’s model could be used elsewhere and in places like Boston or New York where fintech innovation is evolving. Q. What do you want Innovate Finance look like a year from now? A. We want to continue to grow our membership base and be a recognizable name in the fintech sector and amongst consumers and financial institutions. Most importantly we want to be seen to have made an impact in the fintech sector. If companies feel their voices are heard and we’ve helped to raise their concerns and make it easier for them to flourish then we’ve done our job. This entry was posted in Accelerators, FinTech and tagged Innovate Finance, London, P2P Lending by jim. Bookmark the permalink.